Turkish mixed martial artist Saygid “Dagi” Guseyn Arslanaliev, 23, was born in Dagestan, Russia, a place known for producing some of the world’s best martial artists. Recently, the ONE Championship athlete shared his journey to Brazilian Jiu-Jitsu. Currently, Arslanaliev holds a professional MMA record of 5 wins and 1 loss. But even before putting on a pair of four-ounce gloves, he was already an elite martial artist, something that he credits to his upbringing. Growing up, Arslanaliev enjoyed training and fighting. Excelling in Wushu-Sanda, he became a three-time Dagestani Champion and a Russian, Armenian and Azerbaijani National Champion and soon enough, he discovered Pankration, an early iteration of MMA. When Arslanaliev and his family relocated to Istanbul, Turkey, he found himself trying his hand at Brazilian Jiu-Jitsu, one of the main pillars of modern mixed martial arts. Coming from a striking-based Wushu-Sanda background, he was excited to learned the submission-based discipline and before long, Brazilian Jiu-Jitsu had absorbed him. That drive eventually translated into a career in MMA. 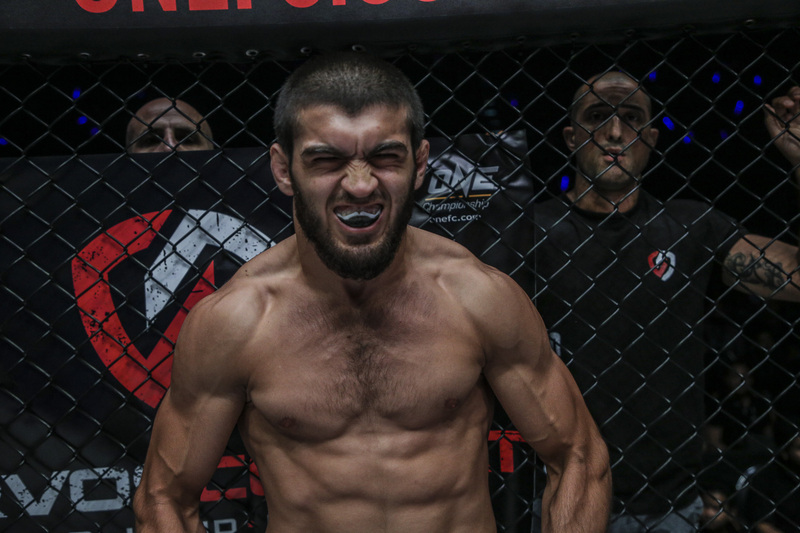 In 2014, Arslanaliev made his professional MMA debut with first-round knockout win in the Croatian regional circuit and in 2016, he joined ONE Championship where he immediately made an impact. On September 22, 2018, Arslanaliev will compete in ONE Championship for the sixth time. He will face Timofey Nastyukhin, 28, of Russia in the lightweight division at “ONE: Conquest of Heroes” at the Jakarta Convention Center in Jakarta, Indonesia.